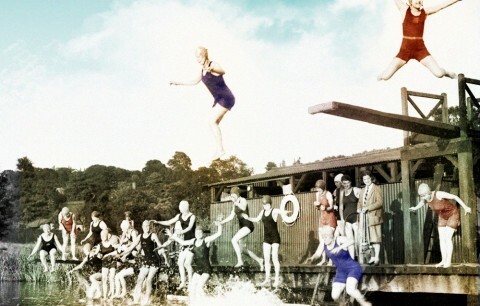 "A wry and inspiring mix of memoir and social history"
Waterstones Deansgate are delighted to welcome Jenny Landreth to Manchester for the launch of her much anticipated book, Swell, A Waterbiography. Jenny will be discussing her work with Amy Liptrot, author of The Outrun, before answering questions from the audience and signing copies of Swell. Join us in the Females Pool at Victoria Baths to hear Jenny and Amy discuss this fabulous book. Tickets are £7 general admission and £5 for students and loyalty card holders, and are available from the link below or in a Waterstones store. Doors will open at 6pm, with a chance for guests to have a guided tour of Victoria Baths before the talk begins. However places are limited, so please register your interest by emailing events.manchester@waterstones.com if you would like to join a guided tour. Swell has been described by Melissa Harrison as ‘a wry and inspiring mix of memoir and social history.’ and it is indeed just that! Swell is a joyful hymn to the sport and an exploration of why swimming attracts so many women. Ultimately, it is a book dedicated to our brilliant swimming foremothers who collectively made it possible for any woman to plunge in with alacrity, anywhere we choose.